If you’ve never done a 20mm edge static hang to absolute failure, you’re missing out. This pleasure cruise of forearm endurance is not to be missed. I had the chance to try out the Zlagboard Contest a couple of years ago. The contest involves one simple test: grab the “medium” sized edges on the board and hang from them for as long as possible. To add to the experience, your time is projected on a large monitor by the board, so the weaker your ego, the harder you’ll try. The contest’s world-ranking is a who’s-who of the best climbers around, and you’re sure to recognize the names on the top of the list. Although deadhanging for those durations is probably of limited value for real climbing, the ability to display your endurance in such a way is challenging. The Zlagboard team have even correlated hang times with redpoint grades, and as you’ve guessed, the names at the top of the board have been up some of the hardest climbs in the world. This training will take time away from your other, more useful, training. This program does improve your static muscular endurance…but you might not need it for anything else. 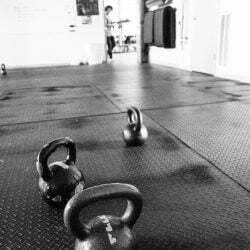 Isometric endurance efforts are best improved by attacking them from two directions. First, you want to be able to go the duration at a lighter load. Second, you want to build up durations at the contest load. You won’t need to be able to execute at a greater-than-needed load. For the light-load hangs, we back off to a bigger hold, such as a jug or large edge or even a pull-up bar. For the contest-load, you’ll use the 20mm edge. I set this up as a 4-week, 4 times per week session. We start with a test: hang the 20mm edges for your max duration. Since training isn’t miracle work, we look to add no more than 25% to your total the first training phase. Anything over a minute of hanging is pretty good, so let’s say you test out right at 75 seconds. Getting to 90 seconds will put you in the top 100 in the world, so 25% is a very good increase. 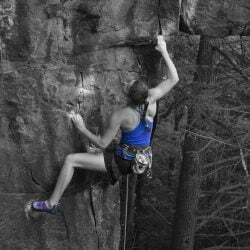 Warm-up well with some bouldering or climbing. You want to be feeling very warm (sweatshirt off) and loose. Start with the light-load hangs. We know you can do 90 seconds at this load, so we do 2 efforts at about ⅔ this load, or 60 seconds, separated by a few minutes. Do 10x hangs on the 20mm edge, 10 seconds on, 10 seconds off. You can do some normal bouldering or climbing after this, because we still want to enjoy the day and not just be stuck on the hangboard. Easy hang for the duration (90 sec), rest 2-3 minutes. 20mm edge 9x 10 sec on, 10 sec off, rest 2-3 minutes. 30mm edge 6x 15 sec on, 15 sec off, rest 2-3 minutes. 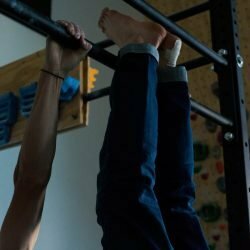 On the easy hangs, your goal is to keep your shoulders in the right position, keep your breathing going well, and try to keep your face relaxed. This will be especially good for your swagger when you step up to the Zlagboard “unprepared” and easily win the contest. We don’t add time or load or change the holds…we just hang. On the edge hangs, you will progress them as you succeed. You will always be doing 90 seconds worth of hanging each set, but we reduce the rest between hangs on session 1 and 3 by one second if you are successful in the previous session. We’ll be increasing hang time on sessions 2 and 4 by 2-3 seconds per hang. Hold total hang times to 90 seconds per set. Your improvements won’t be linear – some sessions you’ll regress or fail early. This should be of minimal concern. Only when you trend downward for more than 3 sessions in a row should you reassess…and this downward trend probably means your training volume is too high. After 4 weeks of training, your edge hangs will probably be down to 2-3 seconds rest between sets of 10 second hangs. At this point, you should take 2-3 days off and then plan a test day. Warm-up the same as any of the workouts, rest several minutes, then let it rip. Chances are you’ll hit your 25% increase on the first try. If you fall short, rest a few days and hit it again. There’s no reason, other than the ridiculous nature of the challenge, that you couldn’t do this program for several cycles and continue to put up really good times. Just remember…it probably won’t help your climbing in the least.